Paul Stekler is a nationally recognized documentary filmmaker whose critically praised and award-winning work includes George Wallace: Settin' the Woods on Fire; Last Man Standing: Politics, Texas Style; Vote for Me: Politics in America, a four-hour PBS special about grassroots electoral politics; two segments of the Eyes on the Prize II series on the history of civil rights; Last Stand at Little Big Horn (broadcast as part of PBS's series The American Experience); Louisiana Boys: Raised on Politics (broadcast on PBS's P.O.V. series); Getting Back to Abnormal (which aired on P.O.V. in 2014); and 2016’s Postcards from the Great Divide, a web series about politics for The Washington Post and PBS Digital. Overall, his films have won two George Foster Peabody Awards, three Alfred I. duPont-Columbia University Journalism Awards, three national Emmy Awards, and a special jury prize at the Sundance Film Festival. See a brief summary of his films on American polities here. Watch a career reel of his films here. 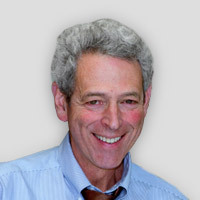 Dr. Stekler, who was RTF Chair from 2010 to 2017, has a doctorate in Government from Harvard University, where his work focused on Southern politics. He previously was a political pollster in Louisiana, while teaching at Tulane, and was the founder of Center for Politics and Governance at UT’s LBJ School of Public Affairs. His writing, on subjects like Hollywood blockbuster films, the greatest Texas documentaries, American politics and politics as depicted in documentary films has appeared in the Texas Observer, Texas Monthly, the International Documentary Association’s magazine, among other places, and in the book, “Killing Custer," co-written with the late Native American novelist James Welch. Stekler was named film school Mentor of the Year in 2014 by Variety Magazine. Stekler’s films have all been broadcast nationally on PBS, on POV, the American Exoerience, Frontline, and as specials. He’s also been an Executive or Consulting Producer on a number of documentaries including Margaret Brown’s Be Here to Love Me, Peter Frumkin’s Woody Guthrie: Ain’t Got No Home, Karen Skloss’ Sunshine, and Keith Maitland’s The Eyes of Me. He also played in New Orleans' only working bluegrass band, Wabash, weekly at the Maple Leaf Bar in the 1980's. Postcards from the Great Divide is a series of nine short documentaries in nine different states examining the deeply partisan split among the American electorate. Each Postcard brings a specific political issue to life, providing an in-depth look at a specific demographic or partisan environment. Black voters in Florida hesitating to vote post-Obama; urban and rural Minnesota residents distancing themselves based on political views; Wisconsin ex-legislators ruing the intense ideological splits that have turned the once congenial state into a partisan battleground; the differing challenges of getting out the Latino vote in Texas and Nevada; GOP strategy to capture a state government in Washington and Republican dominance in the South in Kentucky; national money creating a larger partisan divide in a local election in Colorado and one activist’s mission to resurrect the Democrats in deep red Nebraska. Louis Alvarez, Andrew Kolker, and Paul Stekler executive produced the series and collaborated with six independent filmmakers to make the films, all produced in a digital partnership between PBS’ Election 2016 initiative and The Washington Post, funded by the Corporation for Public Broadcasting and Latino Public Broadcasting, with a PBS broadcast on the World Channel. All the films are viewable at www.politicalpostcards.org. Getting Back to Abnormal is about New Orleans politics and race relations after Katrina. In the context of the city’s long history of political dysfunction and complicated race relations, the film focuses on Stacy Head, a take no prisoners white woman representing a black majority district for city council after Katrina, and her irrepressible African-American aide Barbara Lacen-Keller as they try and navigate New Orleans’ treacherous political scene in a campaign for re-election. With a cast of only-in-New-Orleans characters, and interwoven with stories about housing, culture, and history, Getting Back to Abnormal is a provocative and entertaining look at race in America, set against the backdrop of city’s most unique city. It's the fourth documentary that some combination of Stekler and his collaborators had broadcast on POV, one each in the last four decades. Stekler’s feature article, “Documenting New Orleans on Film,” is both a look at the history of documentary films about the Crescent City and puts Getting Back to Abnormal in context. The International Documentary Association’s article, “New Orleans, Post-Katrina: ‘Getting back to Abnormal’ Looks at Life in the Crescent City,” is about the making of the film. See the filmmaker’s' 2014 POV interview about the film here: http://www.pbs.org/pov/abnormal/video-interview-alvarez-kolker-odabashian-stekler.php#.U_Yx7UtBkWU. The Choice 2008 is a two-hour PBS Frontline documentary about the Obama-McCain presidential race that he co-produced and co-wrote with director Michael Kirk and Jim Gilmore. The film, which interwove the political biographies of Barack Obama and John McCain, aired three times nationally in October 2008 and reached an estimated 7.8 million viewers for the broadcast, and an additional 3.5 million total views on-line. The St. Louis Post-Dispatchdescribed The Choice as "skilled storytellers working at the top of their games to create an intellectual and emotional journey that can surprise you." The Boston Globe wrote that "these two hours are refreshingly free of campaign talking points," while the Baltimore Sun found it "a nearly seamless two-hour film that moves with such focus and force that it feels more like 30 minutes. Storytelling is what drives this documentary with such velocity. This is biography with a capital "B" seeking to bag bigger prey: journalistic, if not historical, truth." And the Los Angeles Times saw The Choiceproviding "a startling contrast to the rest of the news cycle. Why can't the actual campaign be a sensible as the 'Frontline' documentary?" It can be watched on-line at the PBS website. Dr. Stekler's film Last Man Standing aired nationally on PBS's P.O.V., for their 2004 season. This feature-length documentary (edited by Sandra Guardado, who also co-produced) focuses on the politics of Texas, politics that propelled George W. Bush to the White House, by taking a lively, behind-the-scenes look at a pair of 2002 elections-one for state representative in a district that includes Lyndon Johnson's hometown, and the other a polarizing race for governor that pits President Bush's ascendant Lone Star state Republican Party versus an historic multi-cultural Democratic ticket. The characters include Karl Rove, Ann Richards, Molly Ivins, and especially two, young ambitious candidates for state rep (Rick Green and Patrick Rose), who literally fight it out until late on election night, leaving one last man standing. Liz Smith, the nationally syndicated columnist, wrote: "this is grassroots politics, the lifeblood of the USA as seldom seen before." Variety called it "an intriguing ground-level look at Texas politics as a full-contact sport... a provocative pic." IndieWIRE called it "an illuminating and amusing nail-biter about two Texas campaigns and what they would mean for the nation as a whole." The Washington Post said, "absorbing" and "funny"; the Dallas Morning News wrote, "this is an artist at work"; and the Austin-American Statesman wrote that "if everyone could see elections this gripping, more of us might get off the couch and vote." John Leonard, in New York Magazine, wrote: "compared to the second bites that pass for coverage on the networks, and the yaps that pass analysis on the primal-scream cable shows, this flying visit to a small election towers like De Tocqueville." See Paul Stekler’s 2004 POV interview on the film here: http://www.pbs.org/pov/lastmanstanding/interview.php. George Wallace: Settin' the Woods on Fire (co-produced by Daniel McCabe) won the Special Jury Prize at the 2000 Sundance Film Festival and an Emmy in 2001. The three-hour documentary originally aired as a two-night special on the PBS series "The American Experience" on April 23-24, 2000. Wallace and wife, Lurleen, on the campaign trail. The film was called "stunning and probing" by The New York Times, "a full-blown Shakespearean saga... riveting" by the Houston Chronicle, "a brilliant achievement" by the Memphis Commercial Appeal, "a remarkable documentary" by the National Journal, "mesmerizing" by The Boston Globe, and a "gripping documentary, fluent, explosive… swift-paced and seamless" by the Toronto Star. Newsdaysaid it "sets the television on fire," while The Wall Street Journal wrote that the film was a "documentary filled with enough drama and dark comedy, wry twists of fate and fortune, corruption of the spirit and of the body politic, sin and salvation to make fans of ‘The Sopranos' forget for a while." And the Texas Observer wrote that the film was "an epic political biography... makes most fictional films seem thin and lifeless by comparison." Film summary, filmmakers' bios, credit list, press clips, and publicist information is available at the George Wallace: Settin' the Woods on Fire website. for reaching out to his constituency. Vote for Me: Politics in America, produced with Louis Alvarez and Andrew Kolker, was a two-night, four-hour special that looked at American electoral politics by examining our political culture, visiting thirty states in covering elections from the smallest rural precincts to the White House. The series, co-produced with WETA, was described as a "a landslide of an election special" by the Los Angeles Times, "the standout in a season of documentaries" by the Chicago Tribune, "pure Americana, merry and marvelous and authentic" by USA Today, "the best four credit course on real politics you could ever take" by Roll Call, and, by the Atlanta Journal Constitution, as "a masterpiece, unmatched by anything you'll see this political season in the breadth and depth with which it makes you laugh, makes you enraged and-most remarkable of all-makes you care about politics." Stekler also produced, directed, and wrote, with Louis Alvarez and Andy Kolker, Louisiana Boys: Raised on Politics, an hour-length video documentary examining the colorful, Byzantine political culture of Louisiana, from the days of Huey Long up to the present. The film won an Alfred I. duPont-Columbia University Journalism Award, an Ohio State Award, a Chicago International Film Festival Silver Plaque, a National Educational Film Festival Silver Apple, and was nominated for a national Emmy. It was nationally broadcast on PBS' P.O.V. series in August 1992. See an extended two-part 1992 interview with the filmmakers about the film - Part 1 and Part 2. He also hosted Special Session, a weekly statewide PBS program on Texas politics aired during the biannual legislative session. Videostream of every episode is available at the show's KLRU website. He also appeared in MTV's The Real World -- Austin as the "boss" overseeing that season's "job," making a documentary about the SXSW music festival. "Special Session" production team, Paul Stekler with series producers Diane Zander-Mason, Megan Field and Sandra Guardado. and series cinemagrapher Deborah Eve Lewis. Producer and Director Paul Stekler collaborated with Native-American novelist James Welch (Winter in the Blood, Fool's Crow) on this hour long documentary examining this most famous of all western battles, Custer's Last Stand on the Little Big Horn river in Montana territory, from both Native-American and white points of view. Originally broadcast on PBS's series THE AMERICAN EXPERIENCE in November 1992 (to one of the largest public television audiences that year), it was nominated for two Emmys (winning one). The film also won the Spur Award from the Western Writer's of America and was used by the Little Big Horn National Monument as their unofficial introduction film at the battle site. A chronicle of the making of the film can be found in James Welch's "Killing Custer: The Battle of the Little Bighorn and the Fate of the Plains Indians." Producer, Director and Writer, with Jacqueline Shearer, of two hour-long segments of Blackside's civil rights history series. "The Promised Land: 1967-68," about Dr. Martin Luther King's last year (nominated for two Emmys, for writing and editing, winner of CINE Golden Eagle, Banff Television Festival documentary finalist) and "The Keys to the Kingdom: 1972-78", about school desegregation in Boston, the election of Atlanta's first black mayor, and affirmative action. Series was the winner of a duPont-Columbia Journalism Award, a Peabody Award, and the Organization of American Historians' Eric Barnouw Award. National PBS broadcast, January 1990. Producer, Director and Writer of an hour-long video documentary about an election for mayor of New Orleans between two black candidates. Winner of an American Film Festival Red Ribbon and National Educational Film Festival Bronze Apple. National PBS broadcast, September 1987. Producer, Director, Writer and Editor, with Alan Bell, of hour-long documentary film examining the political legacy of the civil rights movement for blacks in the Mississippi Delta. Winner of a Gabriel Award and a finalist among documentary features at the American Film Festival. National PBS broadcast, February 1985. In the last few years, Stekler was an Executive Producer of Be Here to Love Me (directed by Margaret Brown, about the life of Texas singer/songwriter Townes Van Zandt, which premiered at the Toronto Film Festival, and was a Consulting Producer on Woody Guthrie: Ain't Got No Home (directed by Peter Frumkin), broadcast on PBS's "American Masters" series. One of his short films, Spit Farther!, about the world championship seed spittin' competition held annually in Luling, Texas, screened at festivals in 2002. Building Futures is a look at the work and impact of SCALEAfrica at Chiutika Basic School in rural Mfuwe, Zambia. Told in the voice of the local community, the film follows two sisters, Mercy and Beauty Banda, as they go about the daily chores of their home life, the long road to school, and confronting the challenges of continuing their education in the face of daunting cultural and economic constraints. View Spit Farther! and three other shorts—Building Futures, one on UT Austin's Blanton Museum of Art and one on the fifty-year history of the Texas Observer.